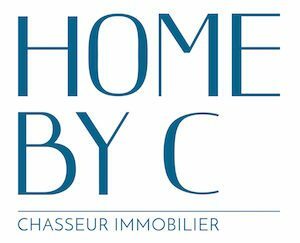 Fully acquainted with the Real Estate market and the regulations in France, HOME BY C is a clear asset to secure your transaction. After a study of your requirements and budget, HOME BY C will identify the properties that meet your specifications. HOME BY C will visit properties and supply reports that will allow you to select a list of properties to visit. This first step alone will save you a lot of time. Searching, selecting, and sorting through adverts is very time consuming and inefficient, especially if you work. HOME BY C avoids all the fruitless phone calls and unnecessary visits by carrying out these tasks for you. If you do not live in the area you have selected, this assistance will become a great value. Negotiating a property purchase is not always easy. Obtaining a valuation of the property is also difficult. With its experience and expertise, HOME BY C is fully equipped to negotiate the purchase price. The result is a win-win negotiation in which both the seller and the buyer benefit, even taking the fees into account. Because you are not always aware of the essential steps to be taken when buying a property, HOME BY C will take care of the administrative documents and formalities necessary for the signature of the deal with the vendor and the notary. In this way you avoid any setbacks that could cause a delay or cancellation of the deal. HOME BY C can also act as a consultant throughout your project. If you deal with the research and visits, we will advise you on the procedure to follow and help you finalize your purchase by confirming the valuation of the property and all the documents necessary for the signing of the deal. With its network, HOME BY C can introduce you to partners throughout the duration of your project: finance companies, a notary, an architect, construction companies, removal companies. A project ? A query ?